Take 100 no-equipment workouts with you, wherever you go. Stay active, get fit, build muscle tone or shed extra weight wherever you have a little time and some space. Different workouts will ensure that your muscles don't get used to the same routine. This will give you more in return for your time and effort and also help you stay focused and engaged. Visual routines guide you through the workout as you go from one exercise to the next. You workout at your own pace, instead of that of a video. This makes exercising more responsive to your needs and a lot more fun You don't have to work your way through the entire book. 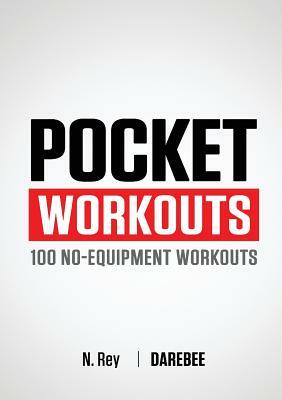 Pick the workouts you like most or randomly select one and make it the workout of the day. Ideally you want to do 3-4 workouts per week. The Darebee motto is that "Fitness is a journey, not a destination. It's important to have fun along the way."